Strawberry Balsamic Baked Brie Bites feature just five ingredients! 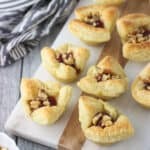 This easy appetizer recipe includes creamy brie cheese in mini puff pastry cups with a sprinkling of walnuts and a strawberry balsamic topping. These bites are an individually-sized way to enjoy the traditional baked brie in pastry. Can you believe that Thanksgiving is next week?! 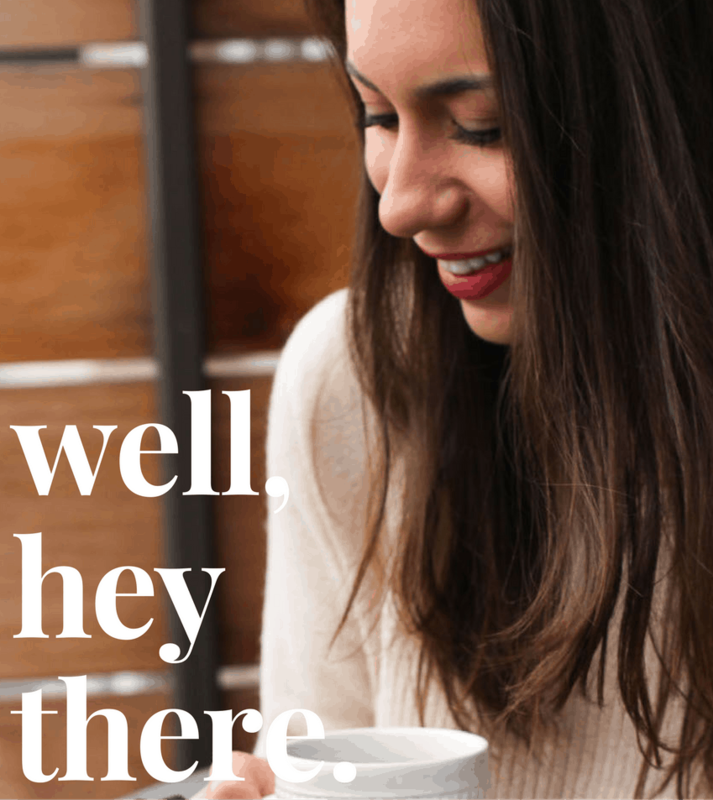 It seems like every month with every holiday or season change I say the same thing – but, whoa. Time is flying…although you might not know it by the weather here lately. As I type this I’m watching the weather forecast, and the daily high/lows for the next few days have a 40°F differential. T-shirts by day and flannel sheets by night. Cool. But, regardless if it’s sweltering hot or freezing cold, we have to talk turkey because the big day will soon be here. Or, more accurately let’s talk turkey day appetizers, because these strawberry balsamic baked brie bites are just begging to be a primer for your annual tryptophan-heavy meal. I’ve been excited about approximately eight billion things since becoming a new homeowner this year, but one of the biggest impacts has been having the space to entertain friends! And what better opportunity for testing out items from your Thanksgiving menu than a Friendsgiving gathering? We all have traditional dishes like turkey, stuffing, and mashed potatoes that are locked down each year, but I like to keep things fresh with a few new appetizers/desserts. Testing out these new recipes for Friendsgiving ahead of Turkey Day itself is both a great practice run and an extra opportunity to savor delicious food. Baked brie baked in puff pastry is a creamy, dreamy appetizer, but I’ve found people tend to awkwardly hover around the plate to scrape up every delicious bit when it’s served in the traditional way. This year though, everybody’s getting their own portion with these strawberry balsamic baked brie bites. 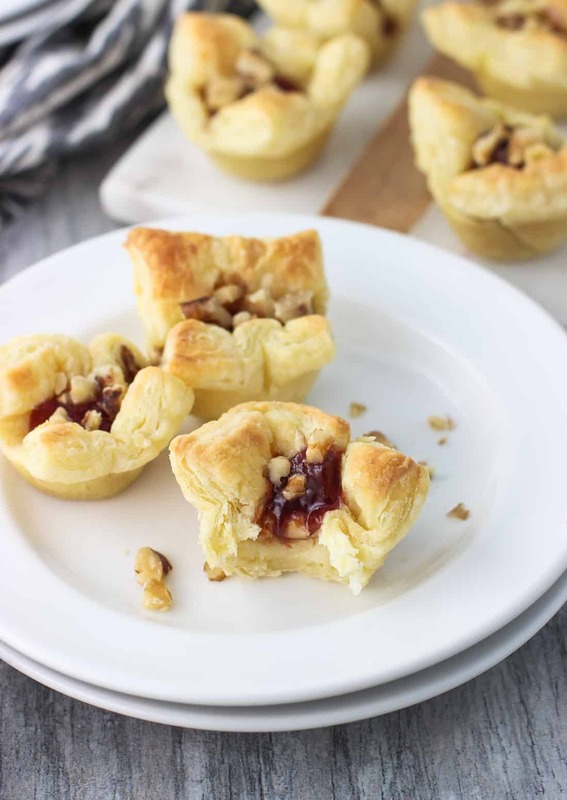 Brie cheese is encased in puff pastry cups and topped with Smucker’s Fruit & Honey Strawberry Fruit Spread, a little drizzle of balsamic vinegar, and chopped walnuts. Guys. SO. GOOD. 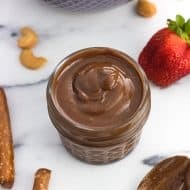 The tartness of balsamic vinegar complements the fruity sweetness of the strawberry fruit spread for a sweet/savory touch, with a bit of crunch from the walnuts. And I mean, what’s not to like about creamy brie in flaky puff pastry? I’m a big fan of dishes where the end result seems fancier and/or more involved than the work that goes into it, and these bites certainly fit the bill. Smucker’s Fruit & Honey Fruit Spreads make an easy, flavorful addition to your holiday entertaining recipes, as evidenced by these baked brie beauties. 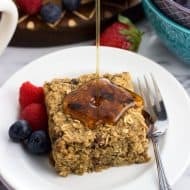 I love that they’re sweetened naturally by honey, and they bring the perfect hint of fruit flavor for simple meal solutions – both sweet and savory. 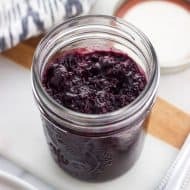 In addition to the Smucker’s Fruit & Honey Strawberry Fruit Spread I used in this recipe, I bought the new Concord Grape flavor and let me tell you, I’ve been making quick work of that one on my morning toast. 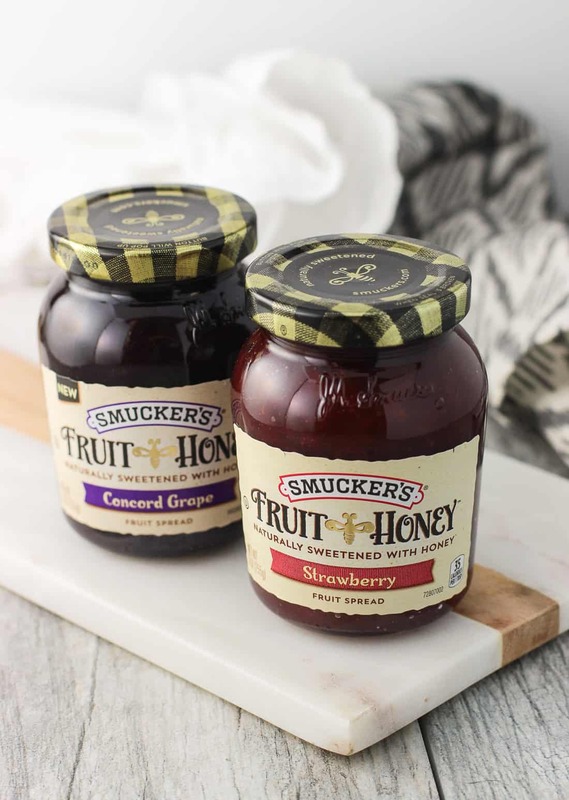 Smucker’s offers multiple flavors of this naturally-sweetened goodness in addition to these two, such as Triple Berry, Strawberry Jalapeno, and Blueberry Lemon, which I cannot wait to try out next. 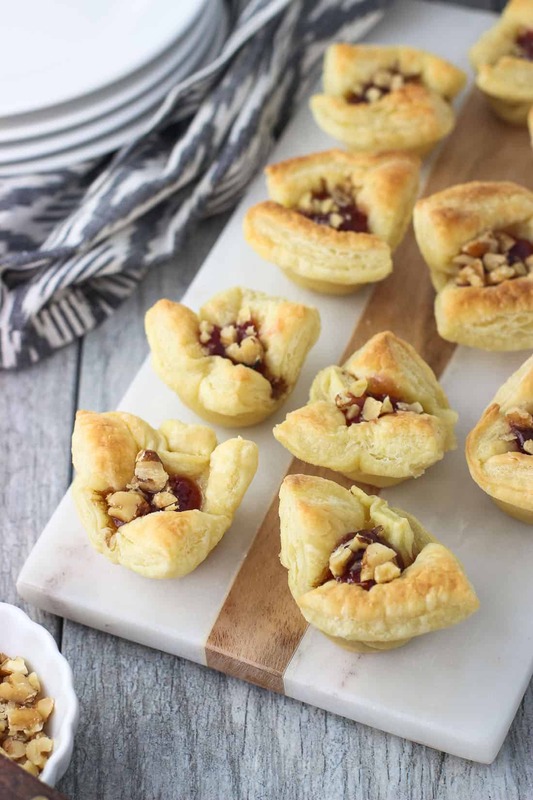 Whether your Thanksgiving crowd requires just a few extra chairs around the table or fold out tables that extend into the living room, these strawberry balsamic baked brie bites have you covered. The recipe as written below uses one sheet of puff pastry, of which there are two in a package. 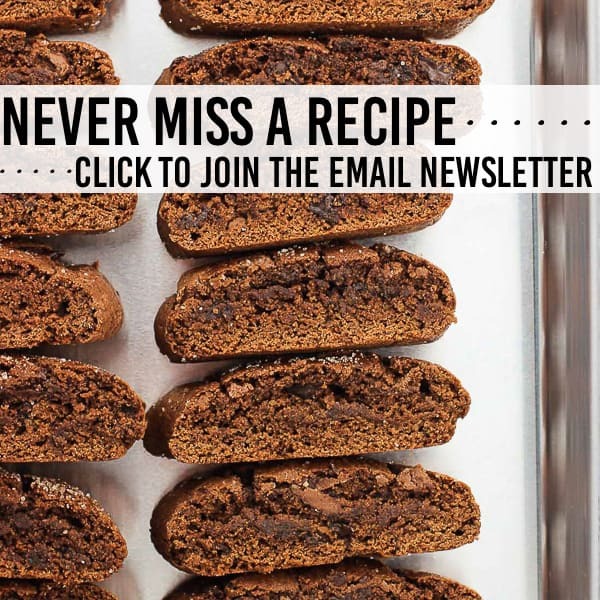 That said you can easily double the recipe to yield 24 bites if you’d prefer. It’s important to bake the puff pastry cups for some time before adding the brie. The brie melts very quickly, so you’d like for the puff pastry to reach a golden color before removing from the oven and adding the brie. I poked several holes in the puff pastry squares with the tines of a fork to prevent them from puffing up too much. When removing the cups from the oven after the first bake and before adding the brie, I pushed down on the wells of the cups to squish them a little bit to make room for the brie. 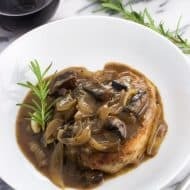 You’ll want the brie nestled in there to minimize spillover once it gets ooey gooey creamy in the oven. 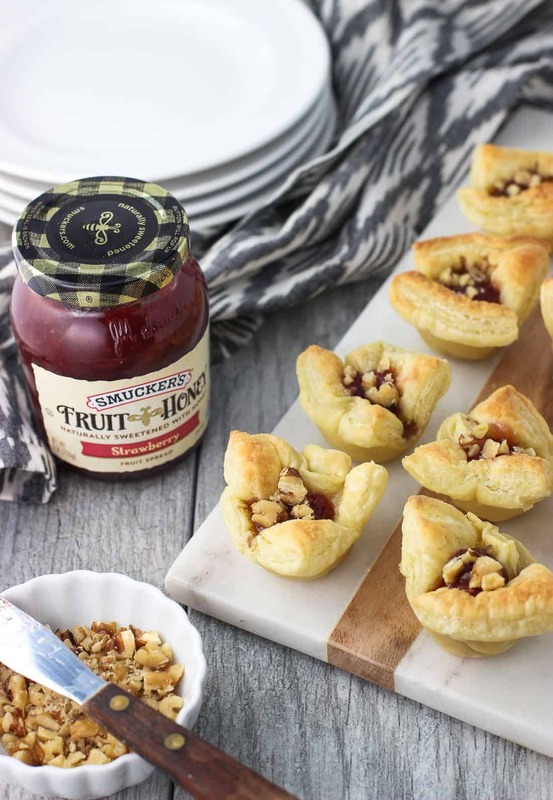 You can find the Smucker’s Fruit & Honey Fruit Spreads line in Walmart, and learn more ways to make your holiday naturally sweet with these recipe and entertaining ideas. 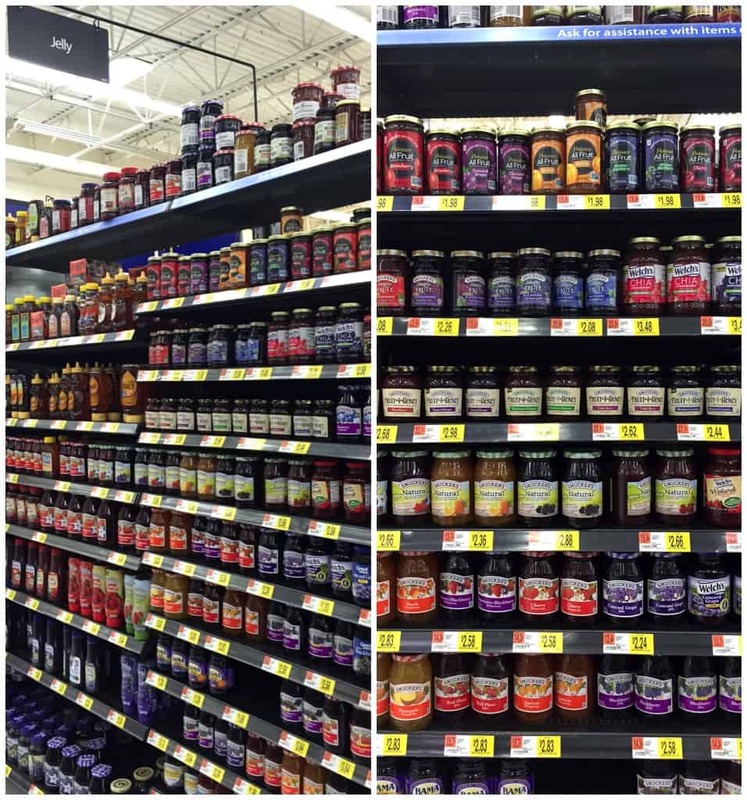 Plus earn $1.00 off Smucker’s Fruit & Honey Fruit Spreads! Preheat oven to 400°F and grease a mini muffin tin. Flour a work surface and rolling pin and roll out the thawed sheet of puff pastry until it becomes a 10" - 10 1/2" square. It doesn't need to be precise. Using a floured knife or pastry wheel/pizza cutter, cut puff pastry into 12 relatively-equal pieces (they won't be exact). Poke holes in each piece with a fork. Line 12 mini muffin cups with a piece of puff pastry, folding the edges so that they don't run over into the next muffin cup. Bake for 8-9 minutes, or until the cups have puffed and become golden in color. Remove the pan from the oven and use a mini spatula or spoon to press down on the bottom/sides of any pastry cups that have gotten too puffed up. 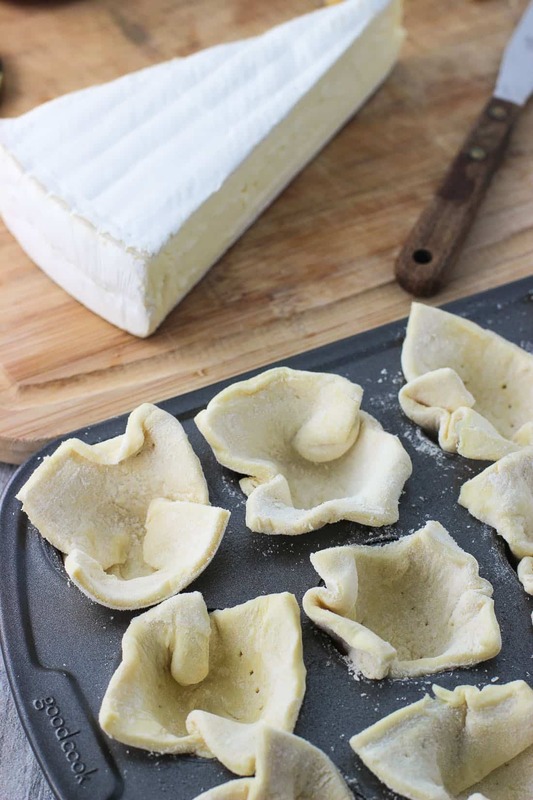 Press a cube of brie into the bottom of each puff pastry cup and place the pan back in the oven. Bake for an additional 3-4 minutes, or until the brie has become creamy and the puff pastry reaches a nice golden-brown color. Remove from oven and let cool for a bit. Once ready to serve, add about 1 tsp of Smucker's Fruit & Honey Strawberry Fruit Spread to each cup. 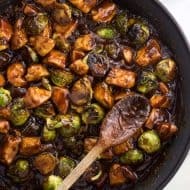 Drizzle a few drops of balsamic vinegar over top and top with a sprinkling of chopped walnuts. 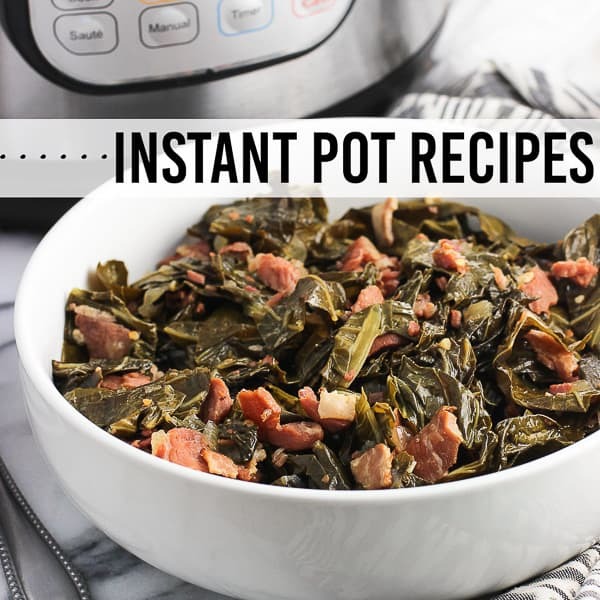 Serve warmed or at room temperature. 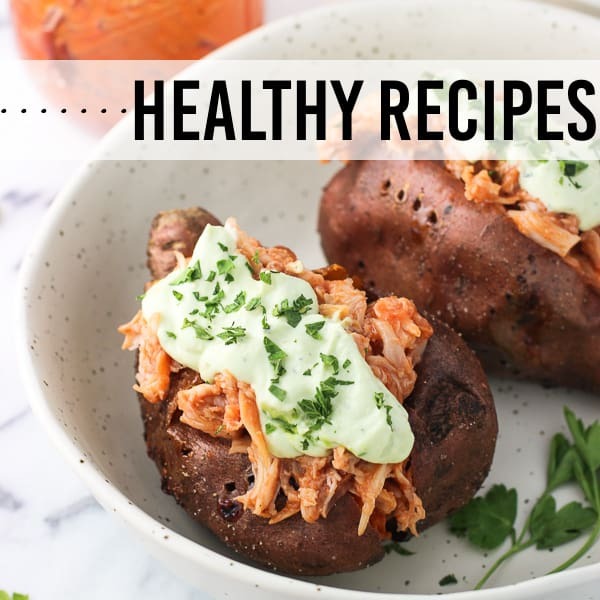 The ingredients here are flexible - you can add as much or as little brie and the toppings as you like. This is a treat that I would not be able to share because I would eat them ALL! They look delicious! I definitely need to double the batch next time because I’m right there with you! Thanks Annie! I’m seriously in awe that Thanksgiving is less than a week away! Where has the time gone?! And I’m so excited to be a new homeowner this year too. We owned our last house, but this one is much bigger and has a big kitchen for entertaining. I can’t wait! These bites look so good, Alyssa! I love the strawberries and balsamic combo. So fun for entertaining! Having ample kitchen space is so great! Thanks Gayle! 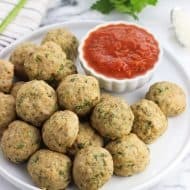 These are just the perfect little bites! How exciting to be able to host some get togethers this year — it’s one of my favorite things to do! It’s definitely the little things – like not cramming everyone onto just one couch! Thanks Ashley!